Yesterday a woman fell down the gap between the platform and the train I was on. 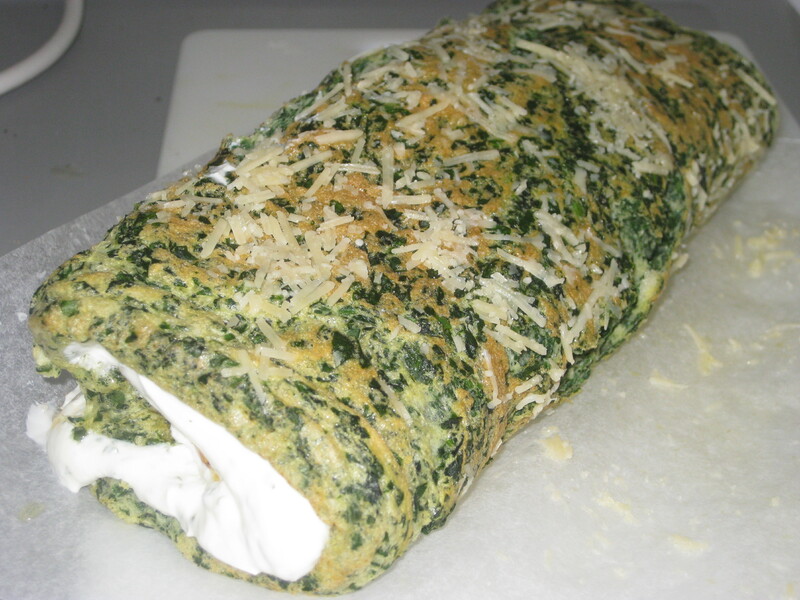 (I had a whole different post planned, which related to this tasty roulade, but it was abandoned because I had to talk about this incident instead – I can’t even pretend to make a tenuous link with the roulade.) 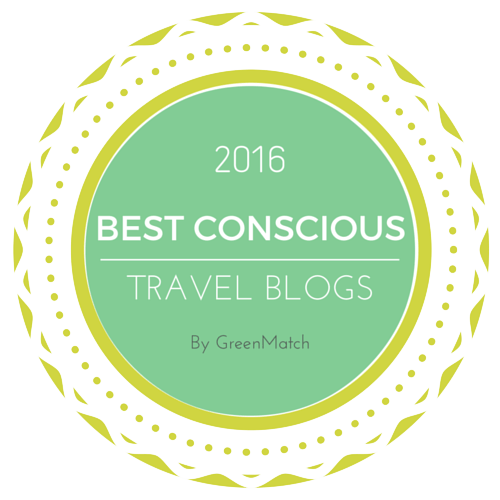 Anyone who has travelled on the Hong Kong underground won’t be too surprised that it happened; I actually wonder that it doesn’t happen more often. In rush hour, the MTR is absolutely unbearable: an uncontrollable rush of people, few of whom wait for passengers to leave first to provide space to move into, most of whom prefer to stand right in the doorway rather than moving along the carriage. But this was just a Sunday morning when nobody was rushing to get to work, yet the idea of waiting the three long minutes for the next train was so unthinkable that there was a surge of the domestic helpers on their day off, pushing and pulling their friends into the carriage, and one of them suddenly slid down the gap. She was sandwiched there between the train and platform, legs vanished out of sight, wriggling like an animal caught in a trap. The very friends who had just trampled her swiftly pulled her out and the train proceeded without a delay, the group of women shrieking with laughter at what had happened. I have the distinct impression that nobody in that carriage is going to rethink how they conduct themselves on public transport, though they (and many other people in Hong Kong) clearly should. 1. Preheat the oven to 190C and line a baking tin with greaseproof paper. 2. Rinse a pan with water so there are still a few droplets remaining. 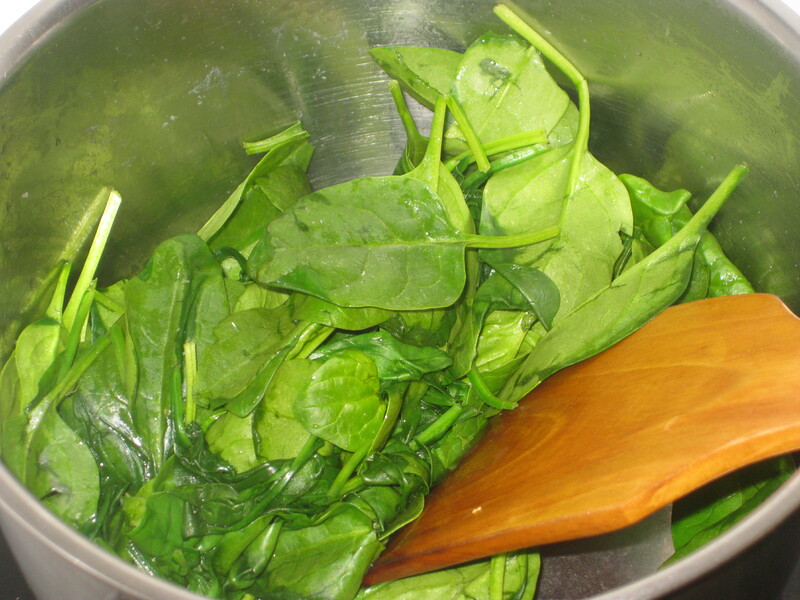 Add the spinach to the pan and place over a medium heat, stirring until the spinach has wilted. 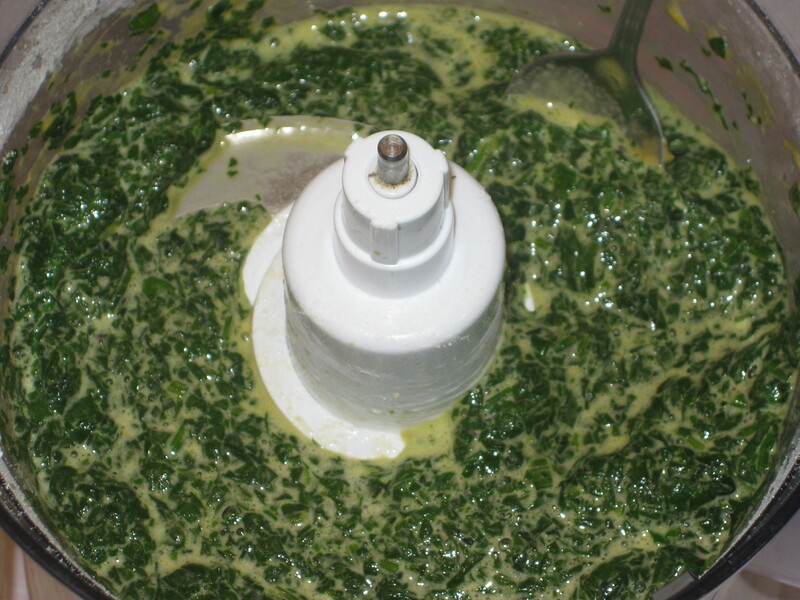 Drain and squeeze out the liquid from the spinach (once it’s cool enough). 3. 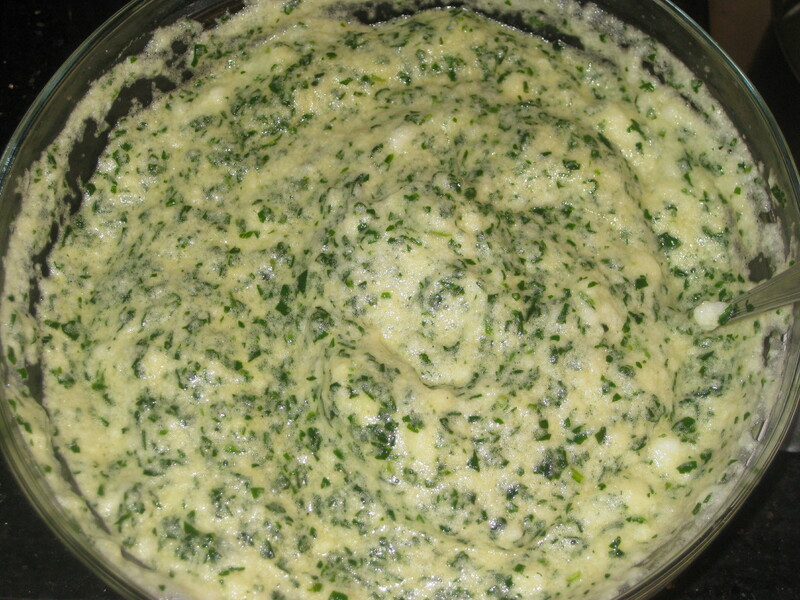 Put the spinach in a food processor with the egg yolks, 1 tablespoon of fromage frais and seasoning. 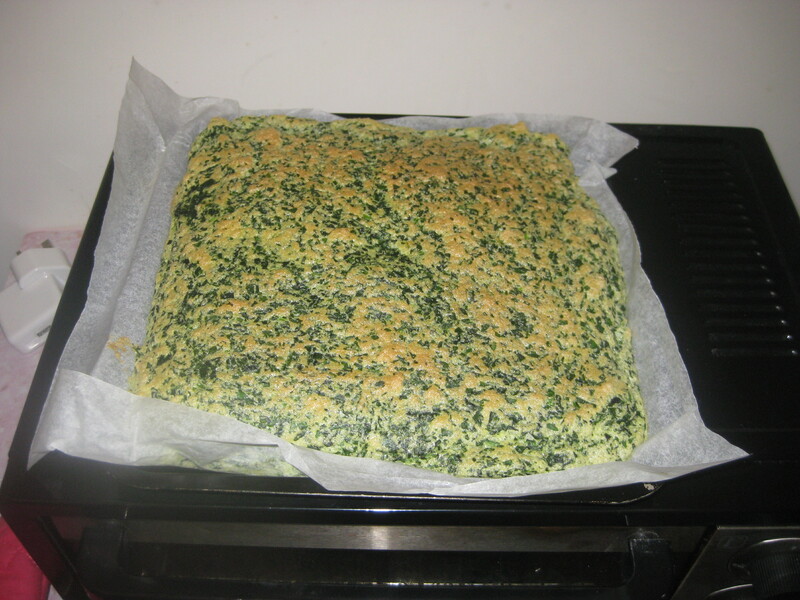 Blitz until the spinach is finely chopped. 4. 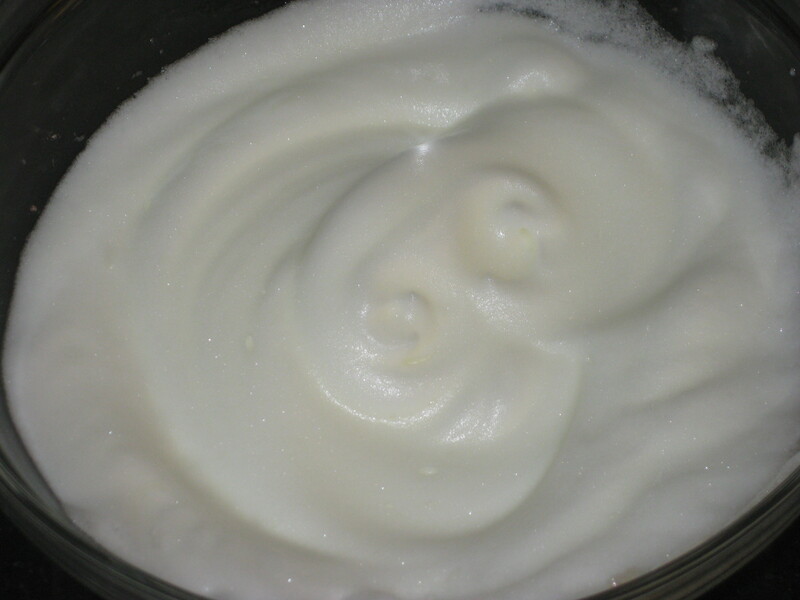 Use an electric whisk to beat the egg whites until they form stiff peaks. 5. 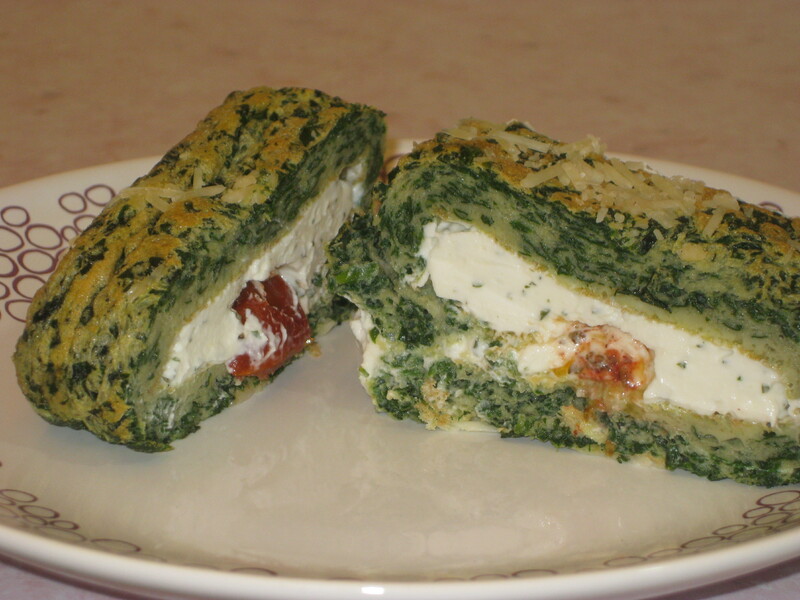 Carefully fold the egg whites into the spinach mixture, retaining as much airy lightness as possible. 6. 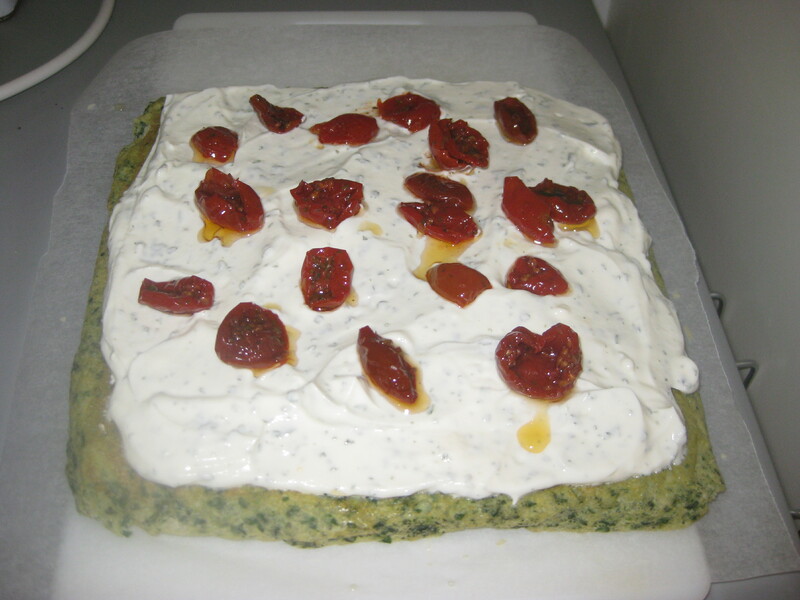 Spread into the baking tin and bake for 12-15 minutes, until firm to the touch. Set aside to cool slightly. 7. 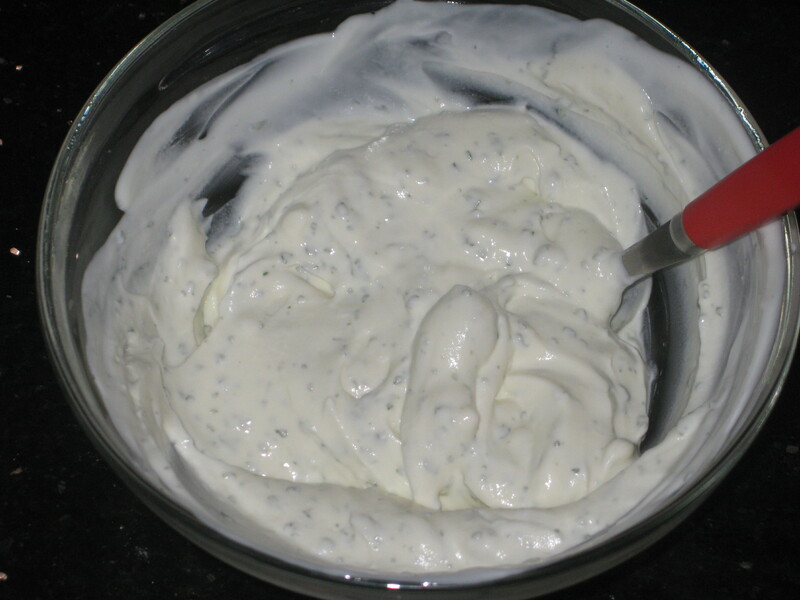 Meanwhile, beat together the boursin with the remaining fromage frais. 8. 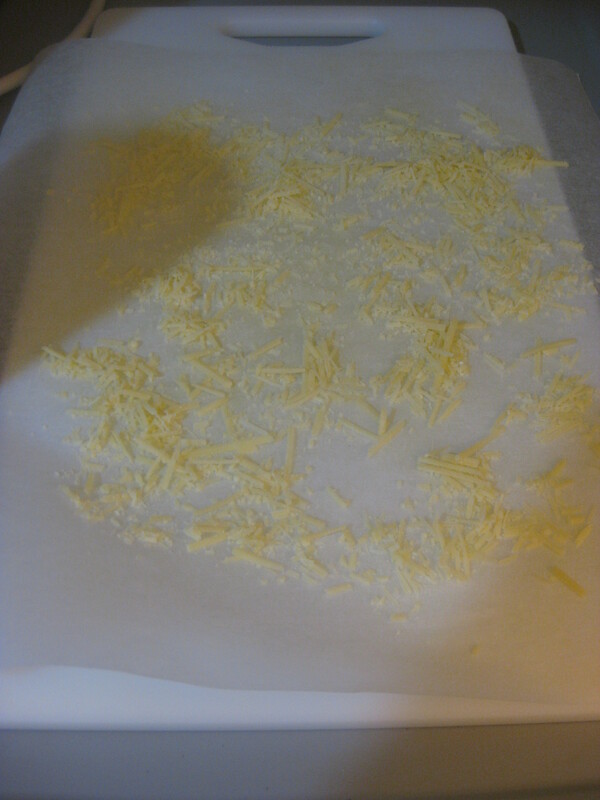 Prepare a sheet of baking paper and sprinkle it with the parmesan. 9. 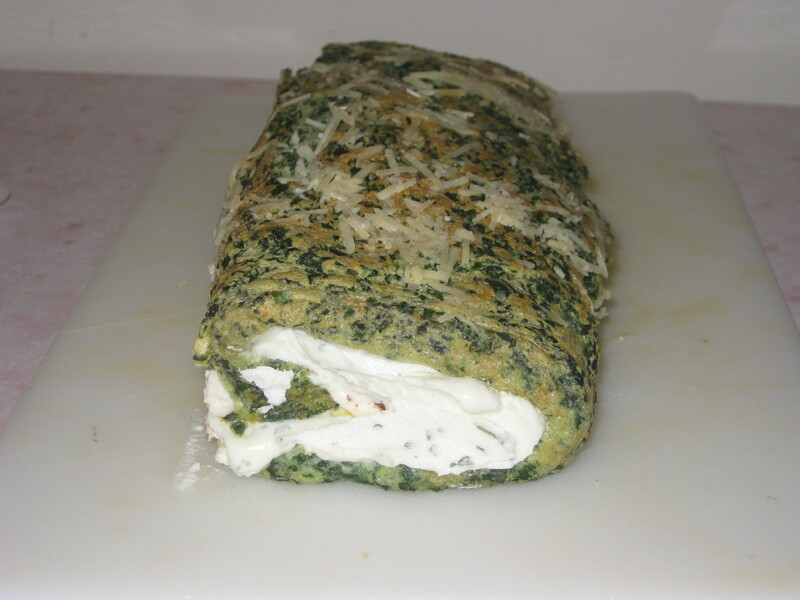 Carefully turn the roulade out onto the cheese and peel off the backing paper. 10. 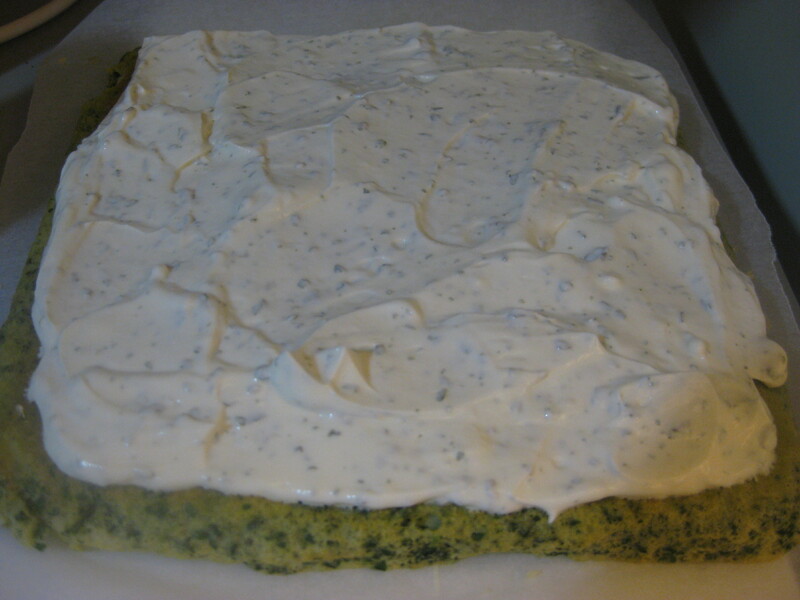 Spread the boursin mixture over the roualde (leave a border of about an inch at one end – I forgot to do so and it oozed out!). 11. Scatter the tomatoes over the top. 12. 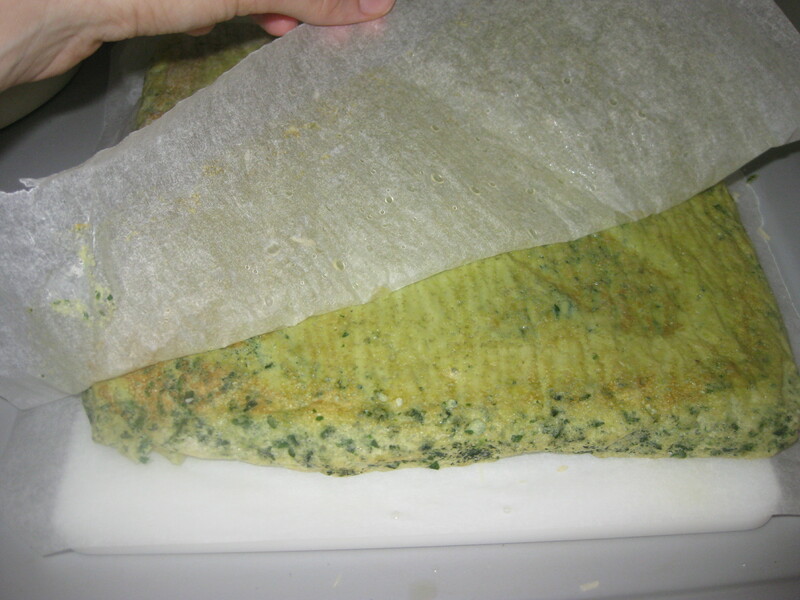 Carefully roll up the roulade, using the baking paper to help. Ta da! 13. 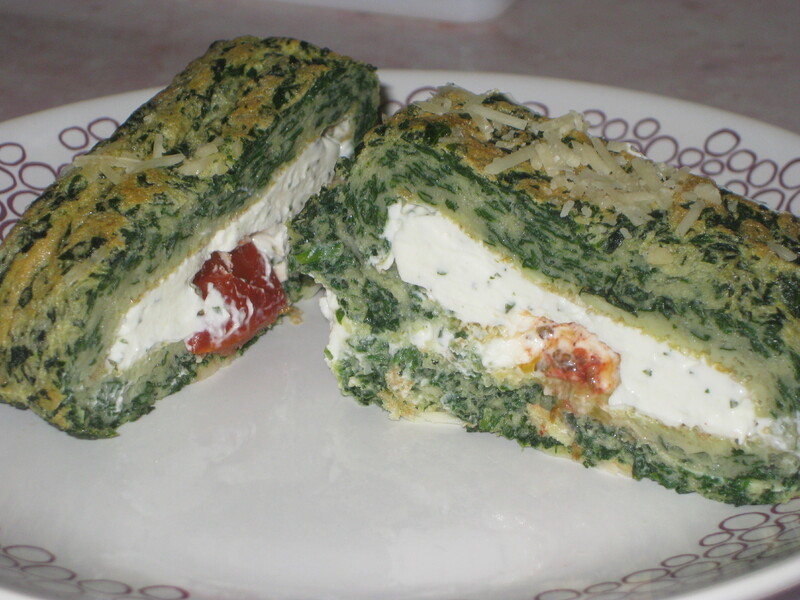 Clear away any boursin that has escaped the roulade, slice up and serve. 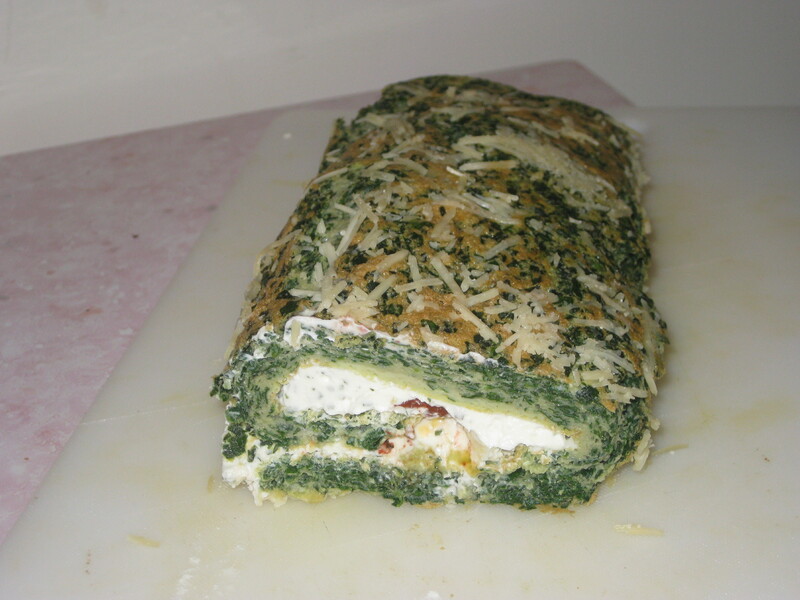 This entry was posted in Vegetarian Recipes and tagged roulade, spinach roulade, vegetarian dinner party, vegetarian main. Bookmark the permalink.